Grace Community School is the largest private school in East Texas, serving 1000 students in grades kindergarten through 12th. He has served in that position since June 2003. Grace’s mission is to assist Christian parents in educating, equipping, and encouraging their children to influence the world for Christ. Jay has written extensively on Christian education and training up children in the Lord, and counsels parents on child-rearing issues daily. He has co-authored The Nexus, a 12-week Christian leadership development course, and authored “A Bowed Head and a Humble Heart: The Head of School’s Pastoral Role”, in Building a Better School, published by Paideia, as well as several journal articles. He writes a weekly blog on spiritual, education and parenting issues called The Head and the Heart. He is an adjunct professor at Covenant College in Georgia, and he is a regular lecturer for The Forge, Pine Cove Christian Camps’ resident leadership program. Jay is the recipient of the W.C. Windsor Award for outstanding service in the Tyler community. He was named Smith County Outstanding Young Lawyer of the Year in 2003. He currently serves on boards of organizations operating at the local, state, national, and international level, including the East Texas Communities Foundation, Texas Private School Association, the Council on Educational Standards and Accountability, and the executive board of the Association of Christian Schools International. He has a heart for mentoring groups of young men and couples. 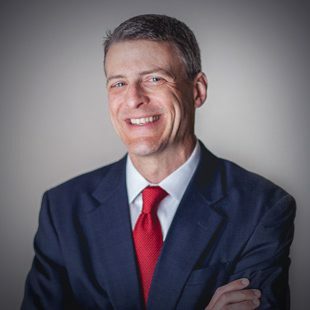 Jay holds a Bachelors’ Degree from Baylor University, a Juris Doctor from Texas Tech University School of Law, and a Masters’ Degree in Educational Leadership from Covenant College. He is currently working on his PhD in Leadership Studies at Dallas Baptist University. He and his wife, Ashley, are members of Grace Community Church and volunteer in the community group and marriage ministries. He serves as an elder of Grace Community. He and Ashley have three teenage daughters, Emma, Annie, and Ellen.